This week I find myself full of gratitude as I reflect upon this same week two years ago. Two years ago tomorrow, my son had major open-heart surgery. I guess all open-heart surgery is major, now that I think of it. But this was really big. My son needed to have his ascending aorta removed and replaced with a cloth graft and his aortic valve replaced with a stainless steel valve. That's a lot of work to do on one boy's heart. And there was a lot of fear in the heart of the boy's mom. Believe me, I clung to the promises of God as the surgery approached. I knew that Jesus promised to be with us always (Matthew 28:20). I knew that I could do all things through Christ who gives me strength (Philippians 4:13). I knew that God had the power to keep His promises. I would meditate on the faithfulness of God; I would picture the rainbow that God set in the clouds when He promised Noah that He would never again destroy the earth with a flood (Genesis 9). God could and would keep His promises; I knew it. What I didn't know was how He was going to do it. Now, two years after the surgery, I love to reminisce about the way God used people to keep His promises. Like the pediatric cardiologist, a friend of ours, who just happened to be the attending physician in the hospital that week, and who took such special care of our son. Or the nurse, one of our dearest friends, who cleared her calendar of all activities so that she could stay with us throughout the surgery and even go with us into the ICU. Or the group of family and friends who gathered in the surgical waiting room to keep us company and cheer us on. They were the ones who were there when the surgeon's assistant called to tell us that they had made the incision. I took that call, said "Thank you" to the assistant, hung up the phone, and fell apart, bursting into tears. My loved ones circled around me. One of them said, "Let's just pray right now," and they did--out loud, in front of everyone else in the waiting room--and I was sustained. I still wonder, sometimes, exactly how God will keep His promises. It's easy for me to search the sky, looking for the giant Hand of God at work in the universe. But I know now to look, also, at the simple hands of men and women who offer themselves for His work. 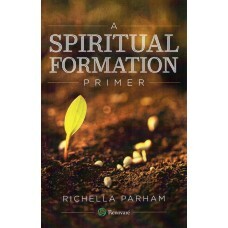 Oh Richella, your faith always amazes me! :) Such a strong mama to go through that! Great post with a great message, how I adore you! This is lovely. I think sometimes we forget how God wants to use us. What a blessing the most simple actions can be. Oh Richella, I know why I keep coming back to your blog and not forgetting you. I love your heart! I'm so glad your son did well in his surgery. I have two things to share with you. I worked as a cardiovascular nurse specialist for more than 20 years so I'm quite familiar with the procedure your son had. I was involved with adults and pediatric cardiology is different though. But I was often the nurse to give updates to the family members while they waited for news from the OR. I also was born with a congenital heart defect and had open heart surgery when I was seven years old. My defect was not as serious; an atrial septal defect but this was before the heart lung machine was perfected. I was born in 1953 and they finally had to go ahead with the surgery because I became so symptomatic in 1960. Btw, don't tell anyone how old I am, OK? Yeah right; lol. Anyway, I love how you are overwhelmed with gratitude. The Lord provided the right surgeon, nurse and friends to minister to you as well. This is such a beautiful tribute to faith and trust. You are very lucky to have so many people in your life that care for your family. I'm so glad that you can look back over the past two years and see all the blessings that God has provided. I'm in tears, Richella. You HAD to have a supernatural strength to get you through that one. I can't even imagine... What a wonderful testimony to God's faithfulness! What beautiful words and a wonderful testimony. Yep tissue needed here also. Your faith is such a testimony to me. :) I have a really really hard time trusting God when it comes to big things like that (just being honest). What a blessing good friends are who can support and encourage you. You are blessed, indeed! Wow, Richella...I had no idea you, your son and your family endured all that! It's truly amazing -- and I am totally floored by your strength! God is good -- Amen! Thank you for sharing of you heart and how God moves in mighty ways!! Hope your son is doing well!! i love the pictures of this... the hands of God working through the hands of your friends. i love the rainbows that show themselves just when my heart is aching for something... when He knows I need just a little more. and i'm thankful for your heart and the health of your son's heart! Aren't you just blown away by His provision in our times of need? Amazing. Oh, wow, I can't even imagine going through something like that with one of my children. I can see why you're full of gratitude two years later! What a wonderful story. Your testimony really tells how loving and caring our God is! He is the living God amen!